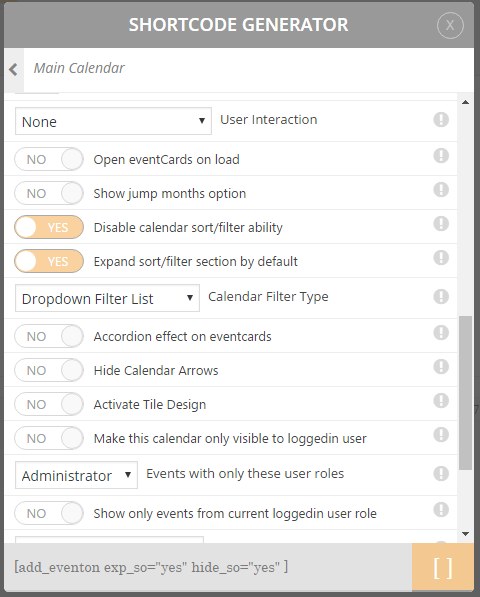 Filter section of the calendar can be activated by going into eventon settings > Sorting and Filtering. 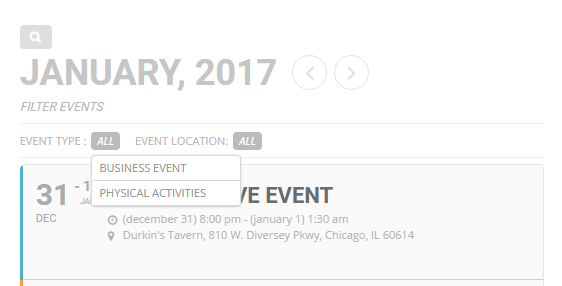 Note: If you there are no events assigned to event types (filter terms) those filter terms will not show under the filter type. 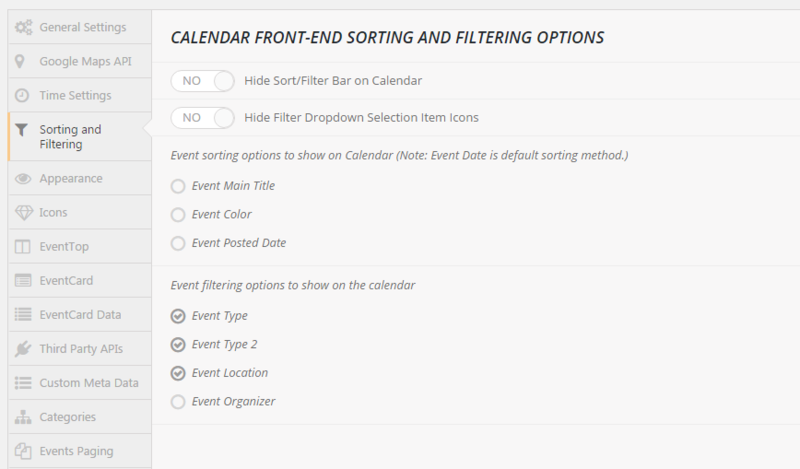 Once you activate filter types you want to enable for users, they will show on frontend calendar.